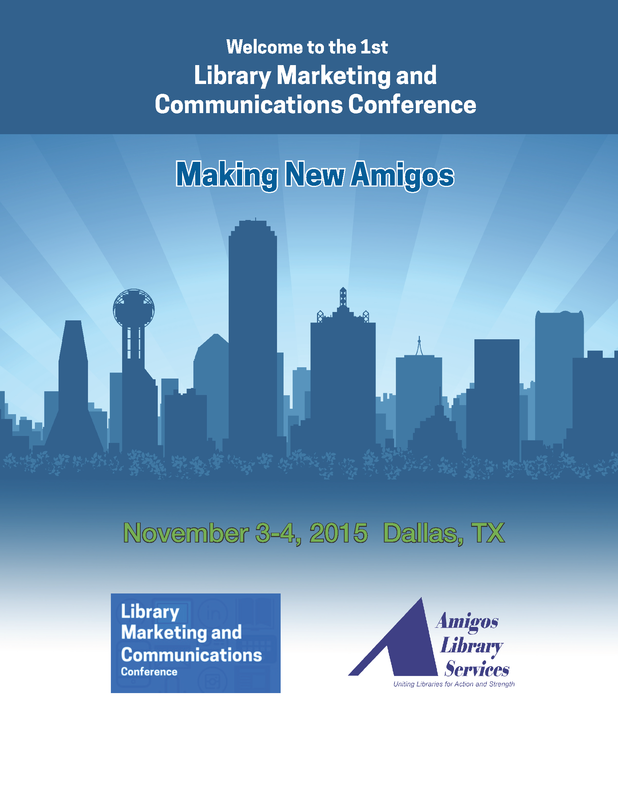 Thank you to Amigos Library Services for taking a chance with our group of volunteers, we couldn't have put on this conference without you. 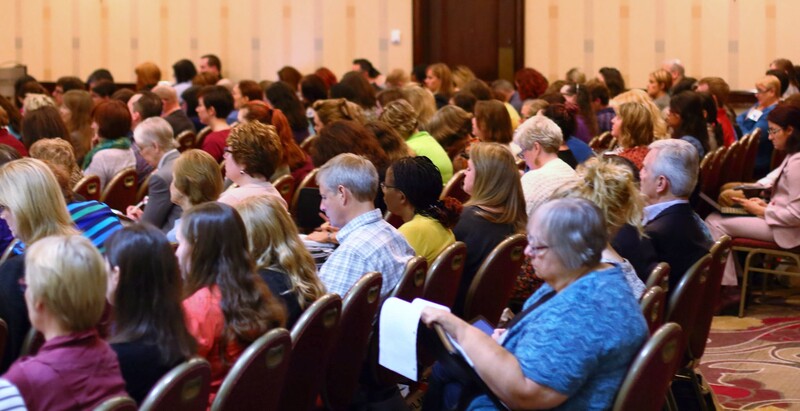 To learn more about how the 2015 LMCC came about and the wonderful sessions that were featured, please read these write-ups provided by planning committee member Jennifer Burke, Conference Chair Kathy Dempsey, and the staff at Amigos Library Services. 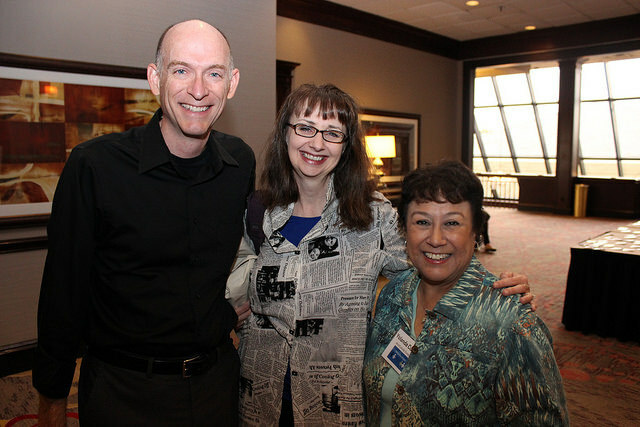 The Library Marketing and Communications Conference Planning Committee was thrilled to present a packed program of a wide variety of marketing topics from public, academic and other library groups or partners in 4 tracks over 2 days. There were a total of 28 individual sessions. There were multiple longer breaks for extended chatting and networking in between sessions, a topic-oriented networking lunch plus a keynote at the start of each day. Topics of sessions covered concerns expressed by librarians of all types involved with MarCom work, everything from millage campaigns, to academic signage, graphic design, and social media ads. When you mix social media, libraries, and customers together, there are some interesting implications. David will demonstrate how a range of social media tools and techniques can be used to start and sustain conversations and to humanize your library's online presence. Librarians are actively marketing their services to multicultural customers, with varying degrees of success. The most effective ones have forged personal relationships and built trust within the communities they've targeted. Yolanda will explain how adapting to the cultural differences, expectations, and perceptions of your customers will help you gain their trust and will impact if and how your messages are received.